At the time of the Civil War, embalming came into practice for shipping bodies over a long distance. By the turn of the century, the newly formed National Funeral Directors Association was pressing its members to consider themselves “professionals,” not tradesmen as the earlier coffin-makers had been. Regular use of embalming was encouraged, and the new “professionals” used it to suggest they were keepers of the public health. Simple burials were being replaced by something else. However, according to a recent opinion from the Center for Disease Control in Atlanta, GA, there is no public health purpose served by embalming. It is not required by law except in unusual circumstances by a very few states. Refrigeration is the usual alternative to embalming when the body must be preserved for later disposition. In other countries embalming is rarely used. In some parts of North America, religious and ethnic groups have maintained the practice of caring for their own dead with a simple burial. With the spread of the Hospice movement, families are assuming more responsibility at the time of death. Because of this, home or church funerals are again returning. Those who have been involved with such funerals have found them therapeutic and meaningful, with costs being minimal. And/or a graveside ceremony for simple burial of the body or cremated remains. The cost of funerals in recent years has risen to $5,000 or more, not including cemetery and monument expense. Ask the funeral home, if you use one, whether “professional services” are billed at a fixed fee, or by the hour. 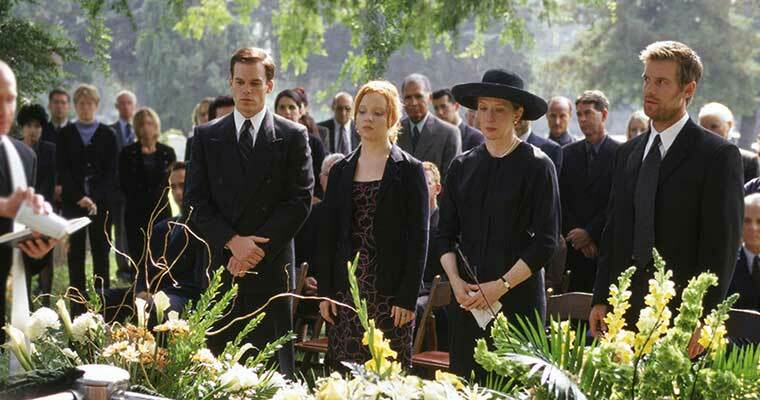 The more responsibility a family assumes, the more affordable a funeral can be. 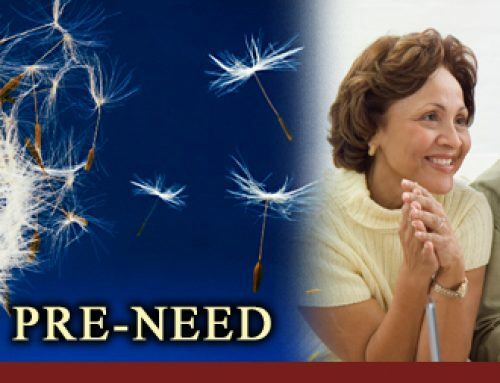 Schedule visitation and services at the home or church, without the use of mortuary staff, to limit costs. If there is no mention of a funeral home, your paper may not charge for the obituary. Perhaps a mortuary will be used only to transport a body or for refrigeration until the time of the funeral. In fact, in most states, family members can file the death certificate and permits, allowing the family or a church group to handle all death arrangements without the use of a mortician. Some memorial societies, including the San Diego Memorial Society, arrange with cooperating funeral directors to provide a “traditional” funeral with a simple burial at a cost of $1,200 to $1,800. For many people, this will be the most convenient choice. If that option is not available in your area, there are books that provide useful details for family involvement. The caskets sold by most funeral homes are usually marked up significantly above wholesale costs. Price lists compiled by the Interfaith Funeral Information Committee, in Phoenix, AZ, indicate the average retail cost of a casket is 2.5 to 5 times the wholesale cost. Check the web site www.funerals-ripoffs.org to see a list of wholesale casket prices. The “minimum container” often used for cremation, is equally appropriate for earth burial or simple burial. It is usually a simple wood— or cardboard and wood—box that should cost less than $100. The casket can be draped with cloth of the family’s choosing if it is to be present during visitation. Mortuaries which serve memorial societies usually use an attractive cloth- covered particle-board casket, the cost of which is included in the special modest price the society has arranged for memorial society members opting for burial. Many families have found personal satisfaction in building and decorating a casket together. Ernest Morgan’s book (link below) contains instructions for making a plywood coffin. If you have built a casket, or purchased one elsewhere, a funeral home may try to charge a handling fee. The Federal Trade Commission has made this practice illegal. Home body burial may be a low-cost option in many states. If you, or others close to you, own country property outside the village or city limits, this could be an option. This is what our great-grandparents did years ago, so this is not a new idea. You can plan a traditional church or home service, or a graveside one. All local permits must be in order first. Many cemeteries require a grave liner to keep the earth from settling after burial. A one-piece “coffin vault” serves the same purpose but costs about twice as much. Unfortunately, some establishments do not mention the cheaper “liner” or stock it. A permanent marker can be very expensive or not at all costly. It depends on your preference and the limitations of the cemetery. Planting flowers, a bush, or a tree are long-lasting but low-cost memorials, when permitted. An excessive handling fee can be charged by some mortuaries if you buy your monuments elsewhere. You should expect a charge of several hundred dollars for “setting” even a modest marker. Some cemeteries bill a family annually for upkeep of a grave site. “Perpetual care” is now more common practice for cemeteries to charge. This is an initial fee for perpetual service. However, these funds should be placed in trust and not absorbed into the cemetery’s general operating fund. When you are dealing with a for-profit cemetery, be sure to ask for an accounting. How can I find low cost burial or cremation services? 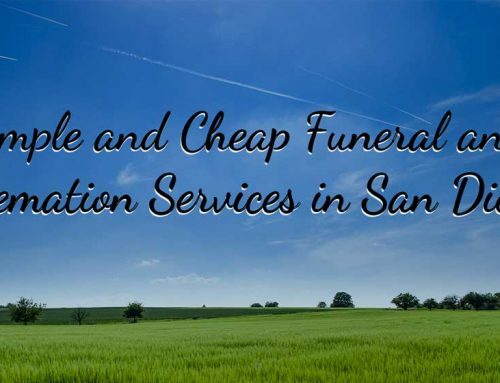 The services selected by the San Diego Memorial Society members are substantially less expensive than a traditional funeral. Many of these include embalming, costly caskets, and/or rental fees for a mortuary chapel. Call us today to become a member at 858-391-1267 or go directly to our online membership form and handle it online. San Diego Memorial Society is a nonprofit membership organization. The Society works with participating mortuaries to provide cremation and simple burial plans for members at negotiated prices. We also take action as a consumer advocacy group with various government bodies. Visit the Web site of our national organization, Funeral Consumers Alliance (FCA). Dealing Creatively With Death: A Manual of Death Education and Burial by Ernest Morgan.